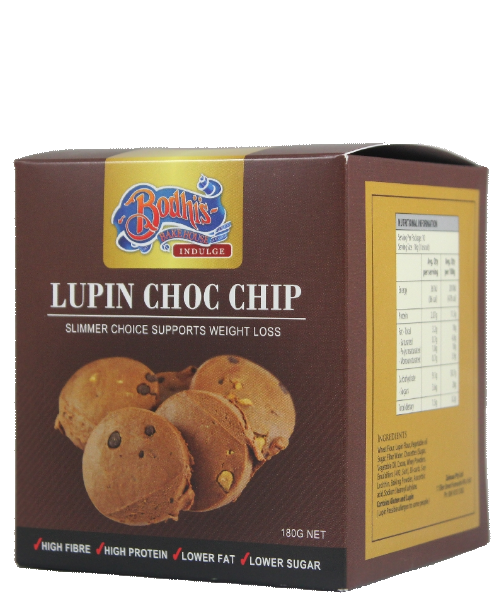 Lupin Choc Chip Slimmers Choice Cookies are the perfect way to indulge in a tasty, chocolaty treat, whilst reducing the intake of sugars and higher GI levels associated with regular chocolate chip cookies, making a sweet treat not such a burden on the body in terms. 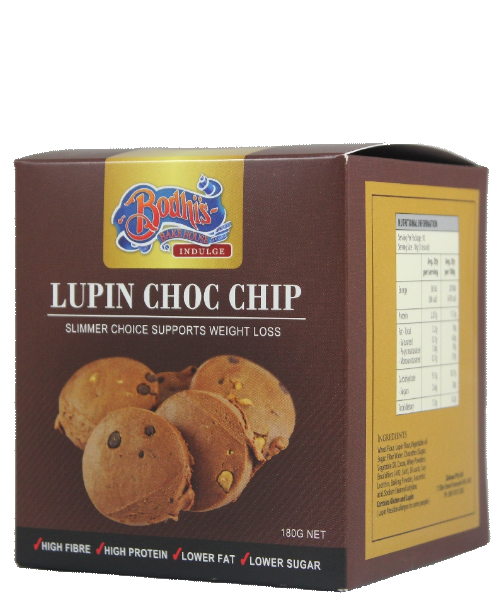 Diabetes and weight conscious lupin enriched cookie’s formulated at Curtin University are another W.A. first in food innovation. 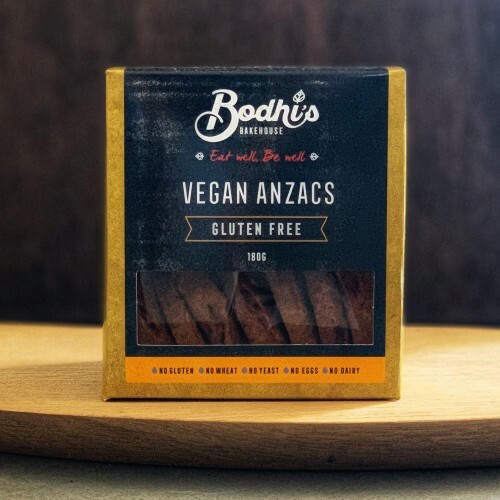 Bodhi’s Bakehouse, working in conjunction with Curtin University Associate Professor Vijay Jayasena, has released the Choc Chip Lupin Cookies as a healthier snack or treat alternative. 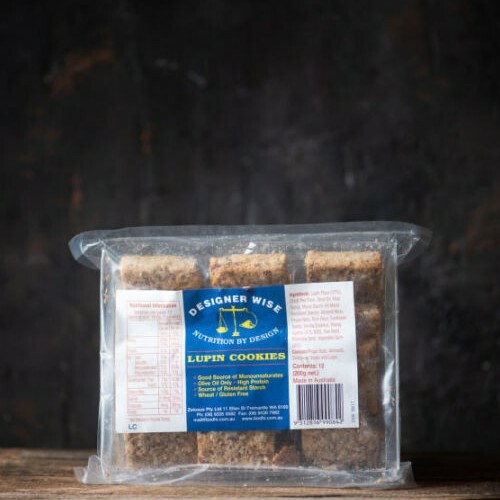 Lupin Choc Chip Slimmers Choice Cookies are the perfect way to indulge in a tasty, chocolaty treat, whilst reducing the intake of sugars and higher GI levels associated with regular chocolate chip cookies, making a sweet treat not such a burden on the body. With the real taste of chocolate, Lupin Choc Chip Slimmers Choice Cookies are the ideal way to get that chocolate cookie taste without as much high fat, high sugar baggage as your typical chocolate cookie. Serve as you would any other choc chip cookie, and enjoy as a full tasting, but healthier treat. 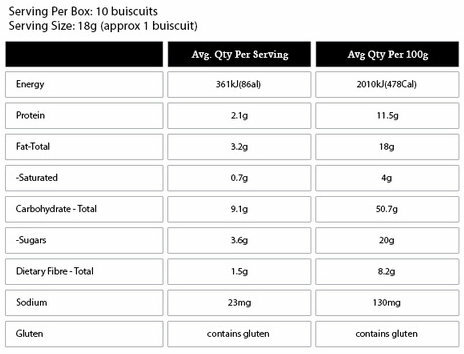 Wheat flour, lupin flour, vegetable oil, sugar, filtered water, chocettes (sugar, vegetable oil, cocoa, whey powders, emulsifier 492, salt), bi-carb, soy lecithin, baking powder, ascorbic acid, chocolate essence. 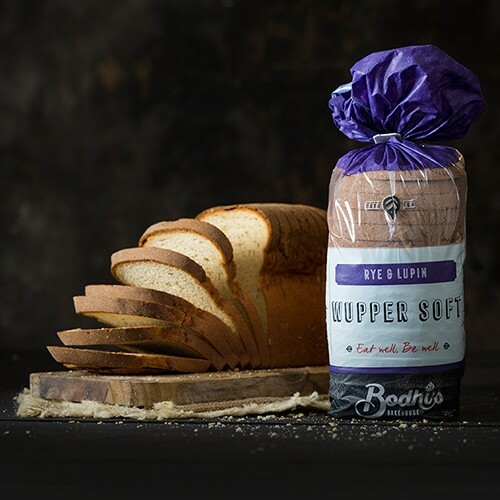 Contains Gluten, Lupin, Wheat and Dairy Products. This product is free of animal fats and preservatives.